The bees are in need of our help and what better day to start helping them than to plant some bee friendly plants? For this swap you need to send two partners at least one pack of bee friendly seeds. Please add a note with swap name and profile name. I would absolutely LOVE to see 20+ people in this swap so lets make it happen! As the recipient you do not have to plant these seeds in your yard if you do not have space. They can be planted anywhere! So please make sure when you rate your partner to let them know where you plan on planting them. If you live in a country where seeds are not able to be sent please don't join!! No unexplained 1's or 3's. 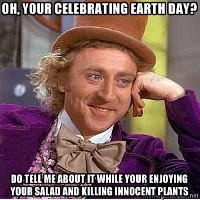 This is open to newbie's so we can all get in the spirit of bee love on Earth Day however I will be messaging those who have a small amount of ratings to make sure they are active. If you do not respond I will ban you. I know many swappers do not like to join swaps with newbie's so to remedy that and keeping with the sprite of helping our Earth I will be happy to angel. Please oh please be considerate though and do not join if you can't follow through because the disappointment is just so hard on my hippy heart....and wallet!